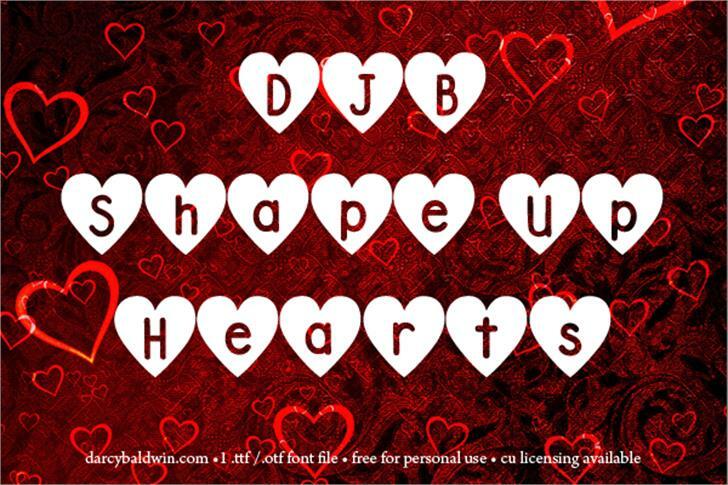 DJB Shape Up Hearts is a conversational piece perfect for holidays and any time you want to share your love textually! 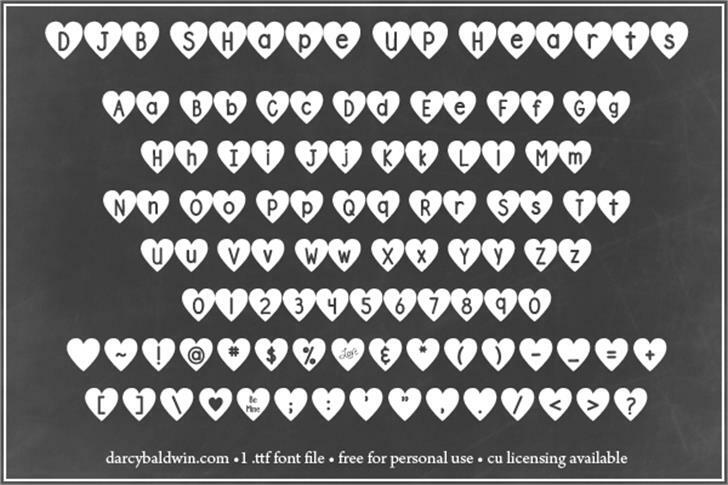 This font contains 1 .ttf/otf font file, which includes full alphabet, numbers and most common punctuation. 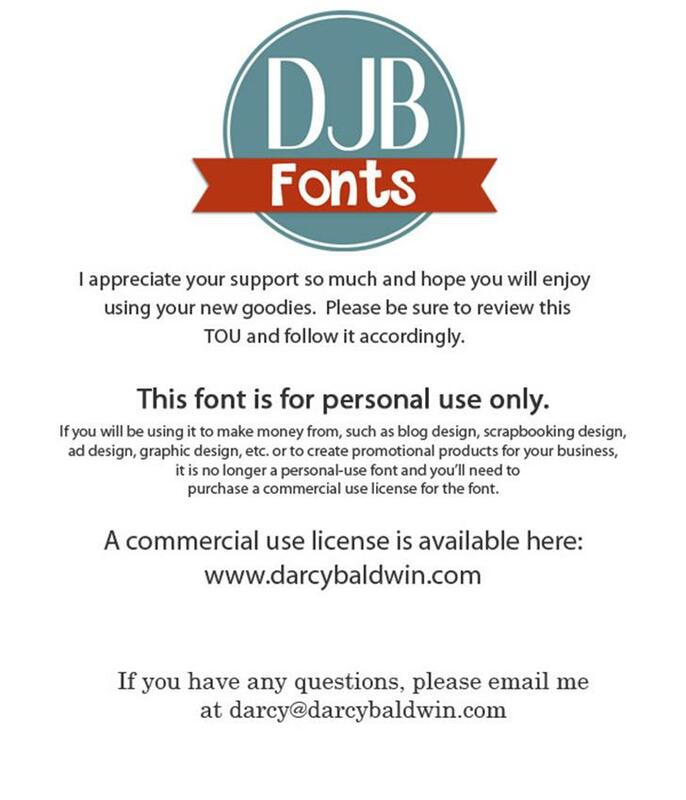 See product view for details. 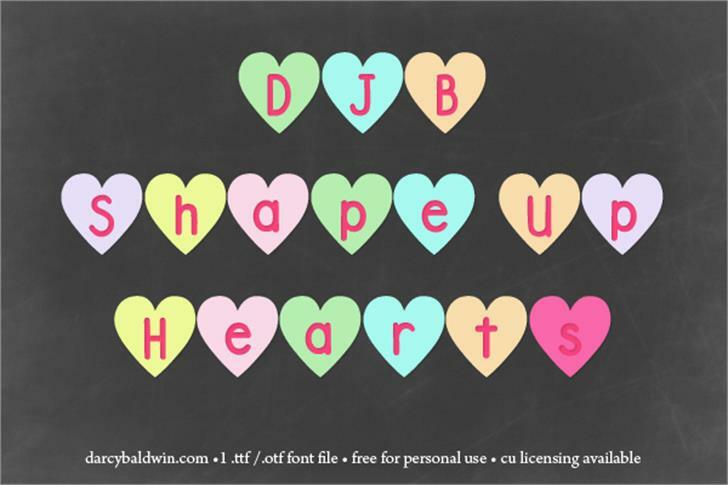 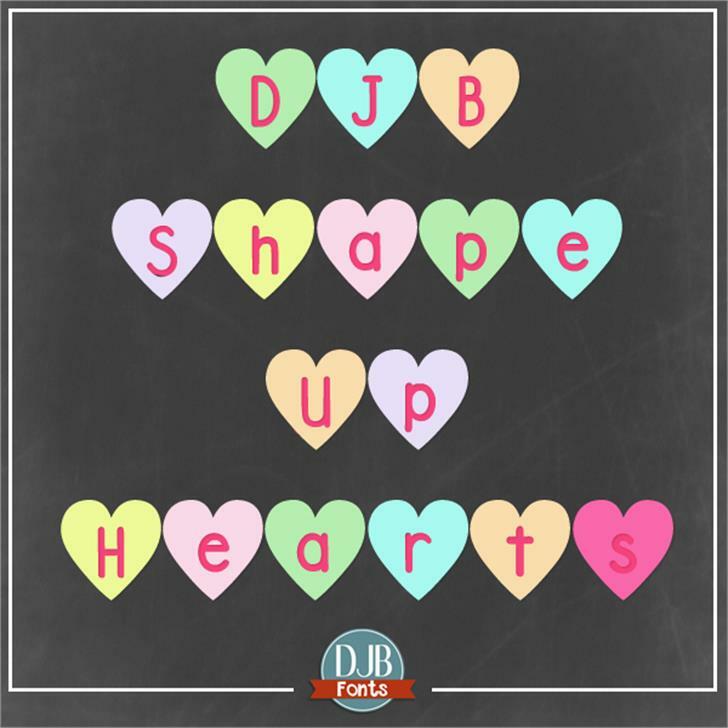 DJB Shape Up Hearts ® Trademark of Darcy Baldwin Fonts.